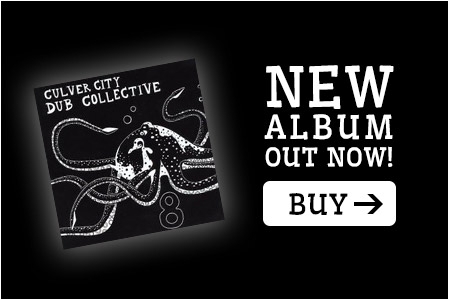 Based out of Los Angeles, Culver City Dub Collective, unites an all-star cast in a captivating blend of Jamaican roots reggae, Afro-Cuban rhythms and West Coast bossa beats. It's an intoxicating breeze that rattles the brain in all the right places, a simmering soundtrack to a thousand road trips and hazy summer afternoons. Their first two releases, spearheaded by drummer/songwriter Adam Topol and guitarist/engineer Franchot Tone, feature stunning appearances from such luminaries as Ben Harper, Jack Johnson, Money Mark, Merlo Podlewski, Studio One vocalist Winston Jarret, and Bedouin Soundclash singer Jay Malinowski, and Kool G Murder (the Eels), and Hep Cat’s Alex Desert. Released in 2007, their full length album “Dos” is an impeccable studio album that reflects the eclectic nature of the players. Joey Altruda's upbeat remix of "The Cave" glides with California soul. David Ralicke also stepped in and shared his production, brass, and arranging magic. The melodic reggae of "Lel's Sweet Inspiration Dub" soon give way to the haunting "Waltz for Tomahawk," an exploration of the Gil Evans big band sound. On "Eloise (Baghdad Remix)," Ben Harper's snake charmer guitar coaxes the melody out of the sonic basket, while Jack Johnson contributes an infectious, radio-ready vocal take to "Crying Shame" remix and "Big Long Gun," featuring Winston Jarret, is just a curried-goat-and-Red-Stripe away from the dusty streets of Kingston. In support of their studio work, the core group of Adam Topol, Franchot Tone, David Ralicke, Chris Joyner, "Yeska" alum Jose Esquivel toured with groups such as Jack Johnson, the Wailers, Piers Faccini, the English Beat, and Toots and the Maytals. 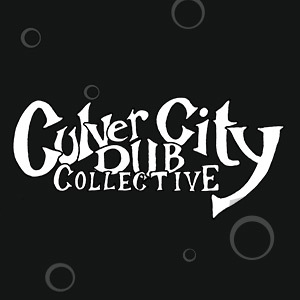 Culver City Dub Collective’s third release, titled “8,” was recorded live to tape in Ralicke's Venice bungalow. Featuring the same core-touring group, this ep shows a continuation of their journey into the heart of island, soul, and dub flavored music. The opening track, “Serena Morena” is a Godzilla-like tribute to roots legend Augustus Pablo and features the playful artistry of guest percussionist Danny Frankel. “Knew Light” showcases David Ralicke’s compositional brush strokes on top of a soul infused rock-steady track by Topol and Esquivel, and “Hazy Eyes” features the golden voice of singer/keyboardist Chris Joyner and catchy guitar work by Franchot Tone. The overall sound has the same CCDC magic but delivered with a more stripped down, analog flavor.